Paul Allen (Microsoft’s co-founder) and Mark Greaves wrote on Technology Review about a week ago that the singularity is not near because we are a long way away from understanding how human cognition works. I had been thinking the same from 1975, when I first became interested in AI, to approximately 2001. At about that time I realized that the quest for human-like intelligence (in, e.g., game playing, bioinformatics, robotics, creative work) was no longer being pursued by imitation but rather by brute force. 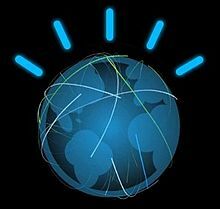 These are the grounds on which some of the most impressive intelligent technologies are firmly based , including, to name the popular ones, Deep Blue, Watson, or Google Translator. The logic programming, inevitably mimicking human way-of-reasoning, is conceptually the same as 40 years ago, when neuroscience was not as developed as today and we knew less about the human brain. But hardware technology has developed so much as to allow for hugely more “intelligent” outcomes than were possible back then. One example? Babel Fish / SYSTRAN worked mainly based on analytical gammar, i.e. the same system as the one [we think] we use for the job: but Translator is based mainly on statistical pattern matching. Compared to a human professional translator, Google Translator’s performance is naive. But compared to >95% of humans, it is superior. Enough said, I guess. 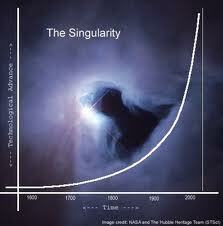 Just sit back and watch the singularity unfold.